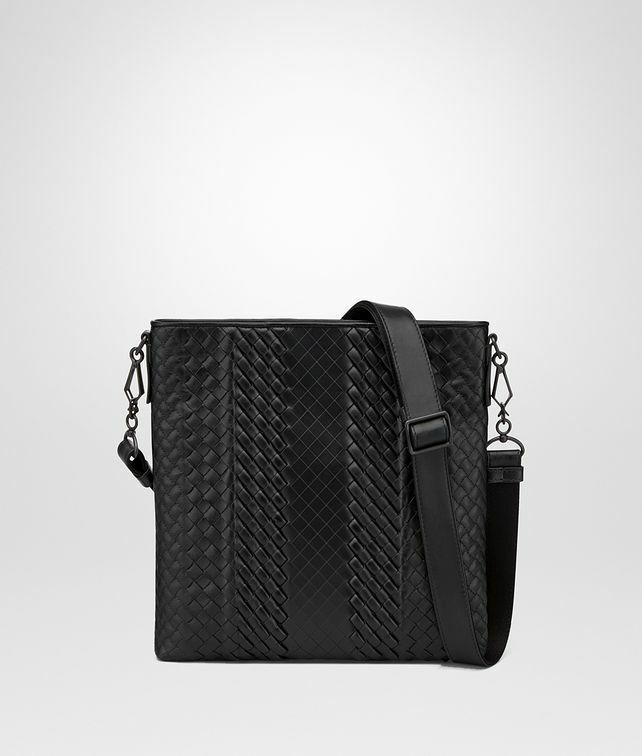 The renewed proportions of this slimline pocket bag are designed to showcase the exclusive Imperatore weave, a skilled artisanal technique blending hand-braided, padded and etched calf leather. The cotton-lined internal compartment is zipped at the top and kitted with a flat pocket. The adjustable and detachable shoulder strap, crafted from leather and ribbon, and the smooth leather rim on the top of the bag confer contemporary allure to this timeless style. Height: 27 cm | 10.6"